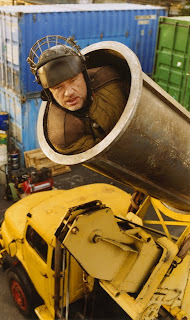 In director Jean-Pierre Jeunet's whimsical romance Amelie , which is arguably his most mainstream French language feature and its Audrey Tautou starring freewheeling epic follow-up A Very Long Engagement, the filmmaker managed to walk just the right line between live action reality and animated fantasy. By sublimating his encyclopedic knowledge of cinema in chaotic homage, which is evident throughout his filmography, Jeunet has proven himself a master of montage. 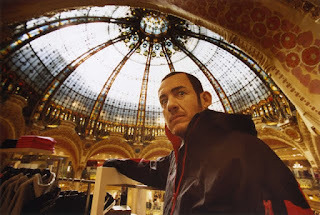 His passion for pushing the limits particularly in the fields of visual effects and editing was best captured in Delicatessen 's perfectly synchronized squeaky spring sequence that was so fresh to filmgoers that it was cut out of the movie and presented to audiences in its entirety as Delicatessen 's official American trailer. Perhaps best appreciated for the intricacies in the images than the often meandering stories he's hoping to tell overall, it's no wonder that the boundlessly energetic visual thinker would cite the CGI studio Pixar as one of his current obsessions. In fact, while watching the larger than life and mostly incoherent Micmacs you get the feeling that a Jeunet and John Lasseter CGI collaboration would be dazzling. 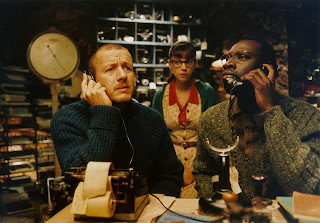 Like Lasseter, Jeunet is fond of exploring emotion on a basic level and introducing characters to the audience as though they're cartoons wherein members of offbeat ensembles are differentiated by a certain outfit, physical characteristic or haircut. Yes, sure enough he cites Pixar works like Toy Story and Disney classics like Snow White as just two of Micmacs' several sources of inspiration in his David and Goliath meets Ali Baba like journey that follows a band of junkyard dealers who band together to bring down a weapons manufacturer. And while his unique marriage of mischief, melancholy, and magic in Jeunet's filmmaking technique and storytelling style endeared us in Amelie , he stacks way too many blocks atop Micmacs ' house of cards. 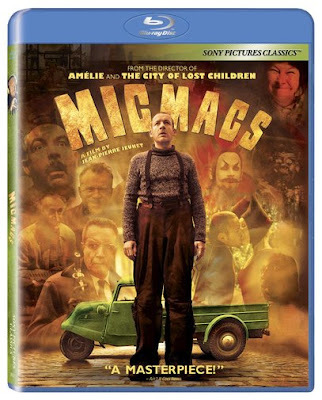 Thus and to the immense disappointment of Jeunet fans everywhere, Micmacs topples within the otherwise breathlessly paced first act that introduces us to our unlikely ticking time bomb video store clerk hero who lives with an accidentally fired bullet lodged in his brain. As a devotee of cinematic wizardry, I must admit that it's awfully fun to switch off the logic of your (hopefully) bullet free brain and enjoy the sensory overload that occurs when the tight curves, sudden hills and startling collisions are revealed after the first domino is knocked down. Unfortunately, what begins as a genuinely entertaining display of earnest affability and top-notch craftsmanship turns into a downright disaster where a steady stream of well-choreographed visual gag distractions can't hide the fact that overall, it's an overly ambitious, well-intentioned mess that wasn't very well thought out. Nonetheless, Micmacs was beautifully transferred to a crisp, clear Sony Blu-ray that's augmented all the more when played as part of your Sony home theatre set-up of high definition surround to immerse yourself in the film's spectacular sights and sounds. Although I can't recommend it to casual filmgoers, art students and those seeking fresh inspiration in the always evolving medium of filmmaking are sure to enjoy a passive low-expectation viewing of the vacuous work that had the ingredients to have been so much better. 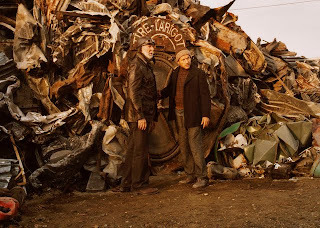 This being said, even a weak Jeunet is better than no Jeunet at all since embracing the blend of cinema past with nods to Leone and Chaplin and the technological advances of cinema present with his Cirque du Soleil ready approach is imperative to inspiring cinema future.